The PPDA bill mandates that a state funding be created to augment the operating funds of the Accredited National Political Parties (APPs) and shall be used directly and exclusively for party development and campaign expenditures. The bill shall apply to political parties duly registered with and certified to as such by the Commission on Elections. 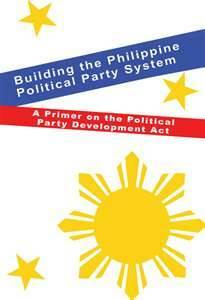 Parties are also mandated to craft clear policy agenda and program of governance consistent with their party philosophy and ideals. Senator Edgardo Angara, one of the main proponents of the Senate version of the measure, Senate Bill No. 3214, emphasized the need for a system-wide initiative to enhance the country’s political parties by making them more transparent, self-sufficient and platform-based. “Our politics becomes so contentious because it usually boils down to personalities, instead of ideologies or political platform,” said Angara. The bill also provides that criteria for eligibility to receive the said fund are based on political representation, organizational strength and mobilization capability, performance and track record of the party. The measure proposes to penalize so-called ‘political turncoats’ by prohibiting them from running for any position in the nearest elections. The bill also disqualifies these politicians from being appointed to any public office for three years after the term of their current position expires. “With such rules in place, there is greater motivation for alliances to be formed based on ideals and principles instead of personal relations. 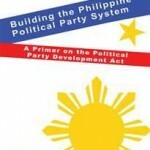 Party members will be driven to stick it out with their parties instead of switching affiliations only because it’s politically expedient,” according to Angara.